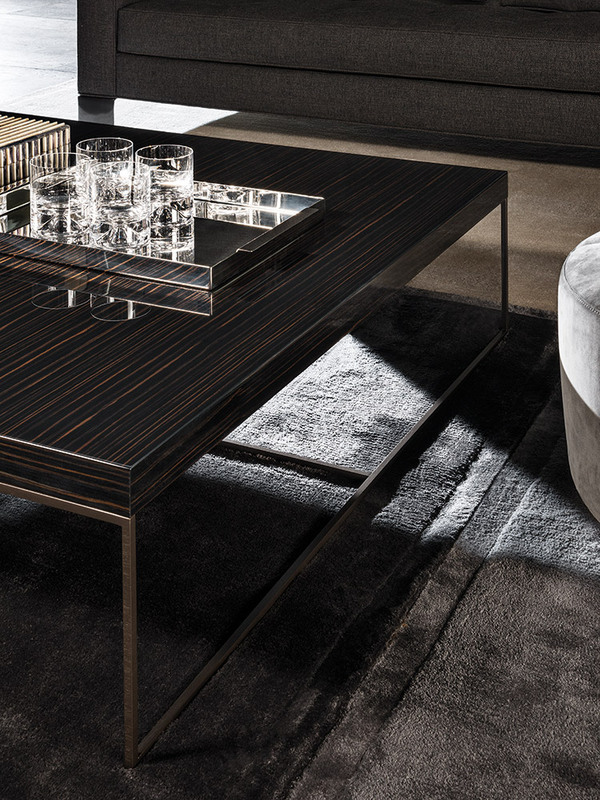 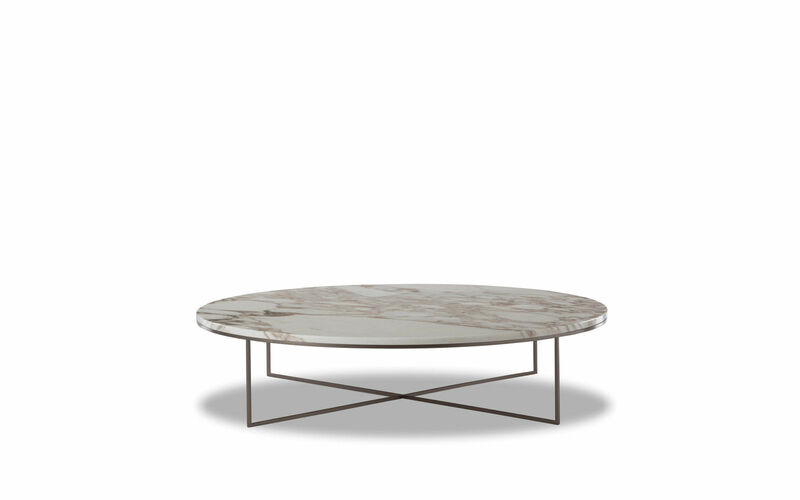 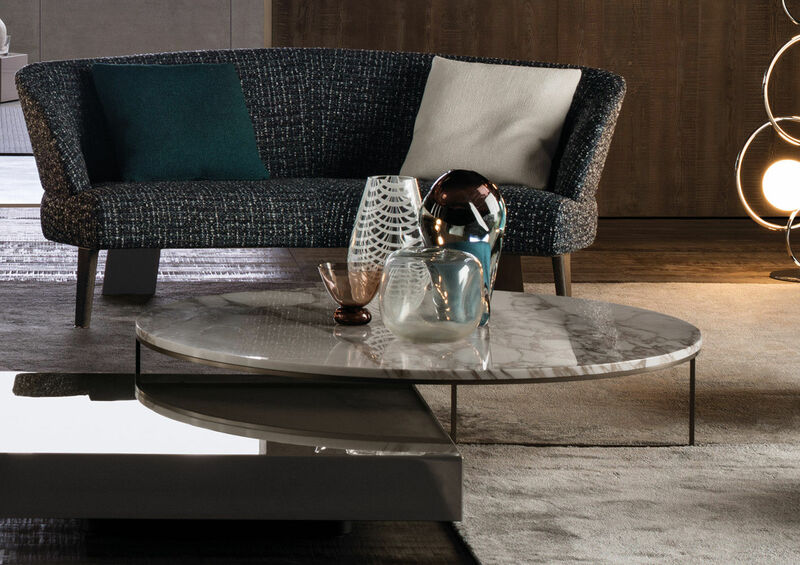 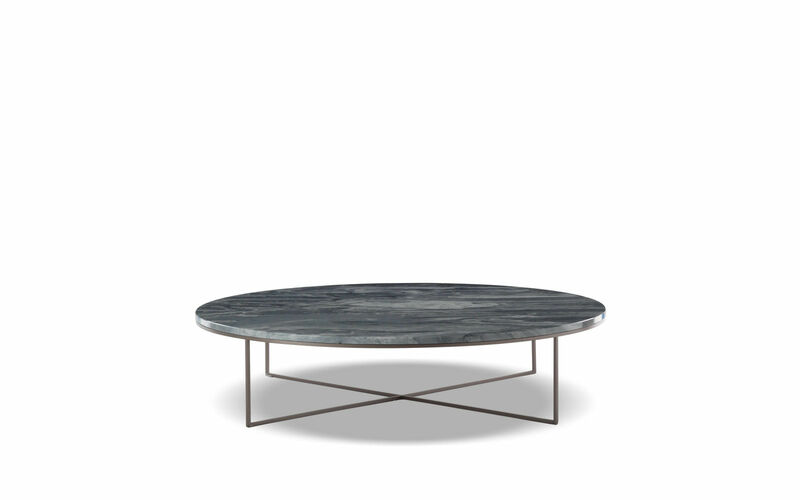 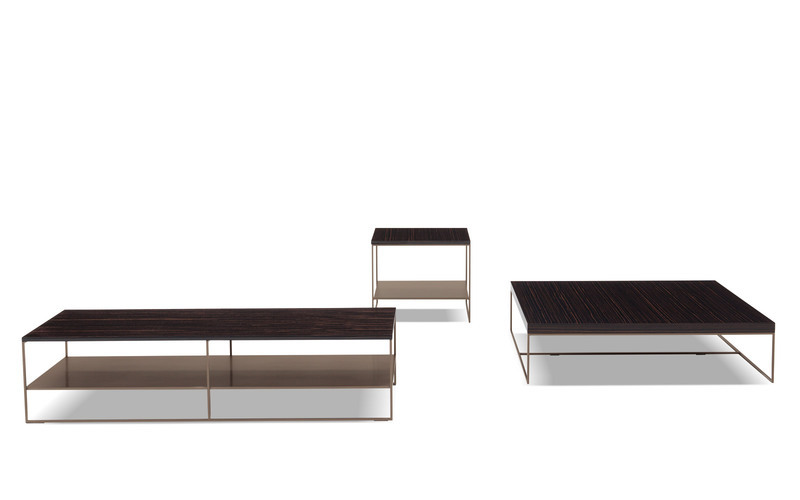 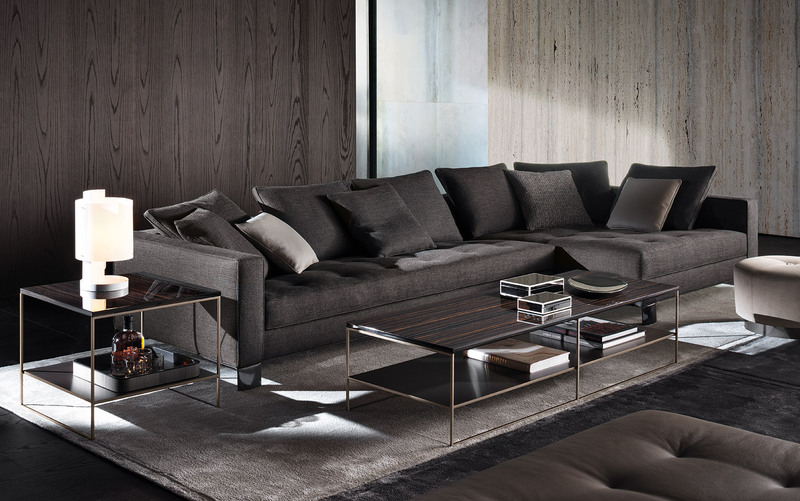 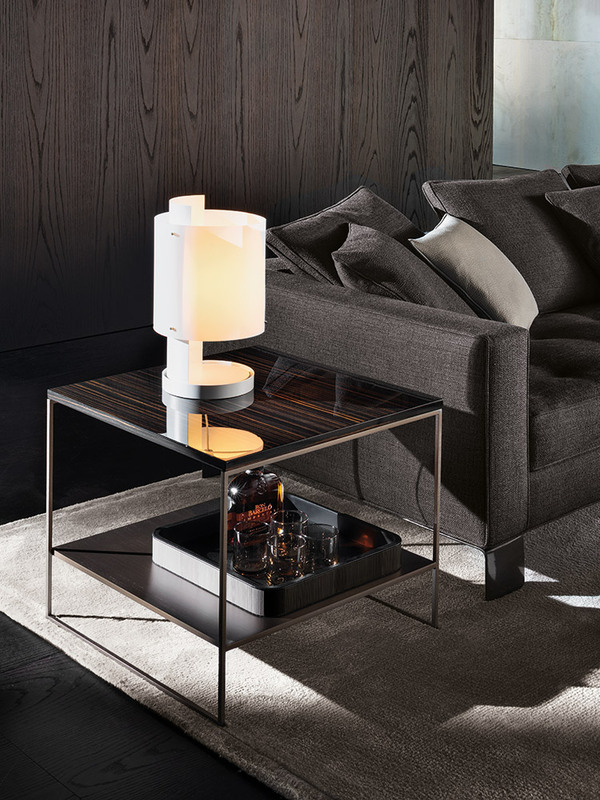 Luxurious, eloquent materials like marble, wood and bronzed metal interact smoothly in this collection of coffee tables with a minimalist design. 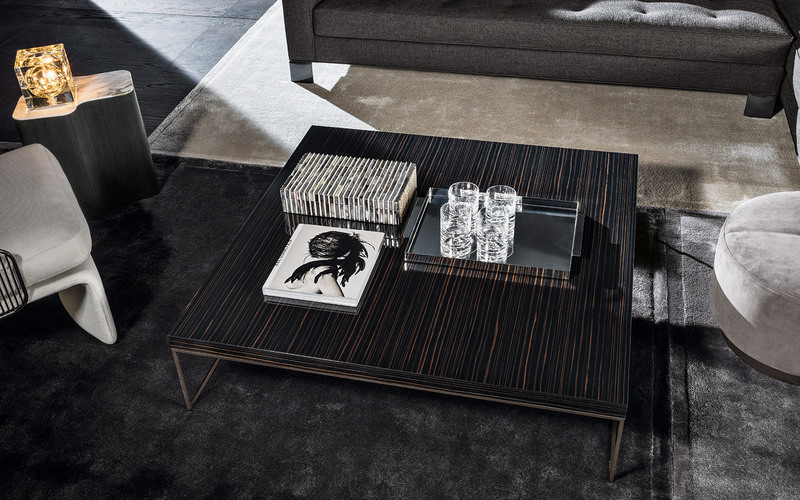 A series of new finishes contributes a fresh, contemporary appeal to the Calder family that comprises many coffee tables and console tables, available in several sizes. 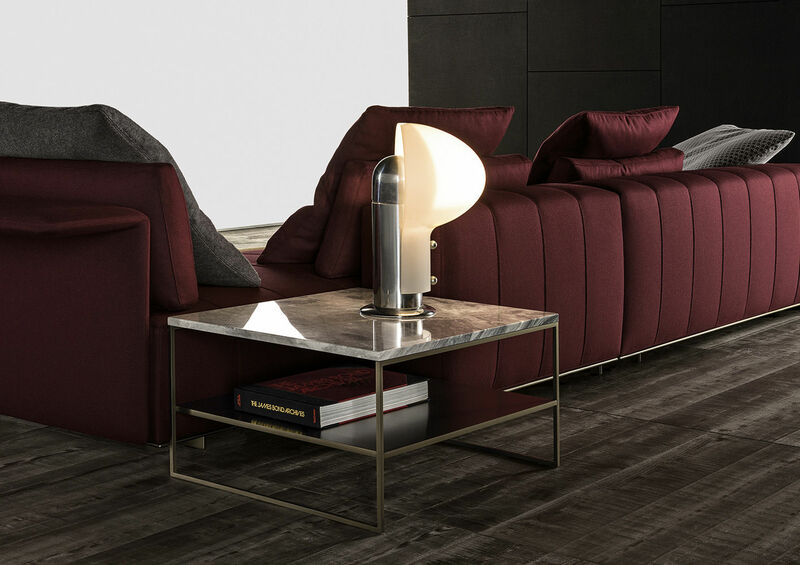 The slender iron structure now comes in a Light Bronze satin finish. 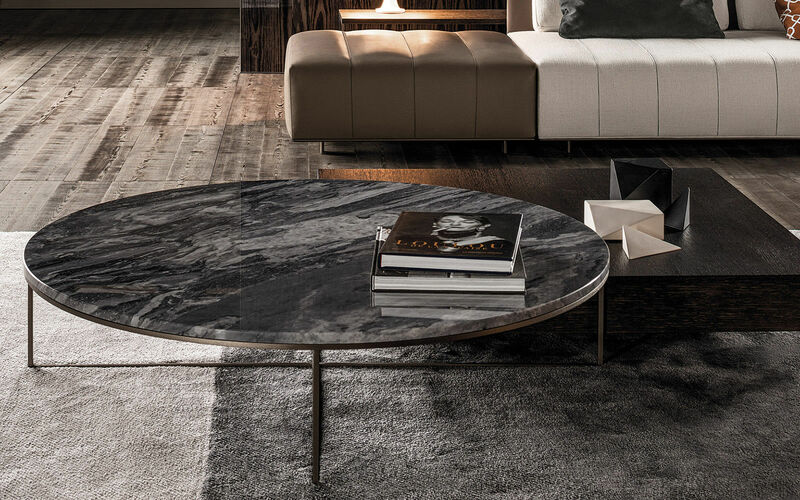 Several new versions of the top are also available: glossy lacquered Sand, Sucupira veneer stained Mink color, and Bardiglio Nuvolato or Calacatta marble. 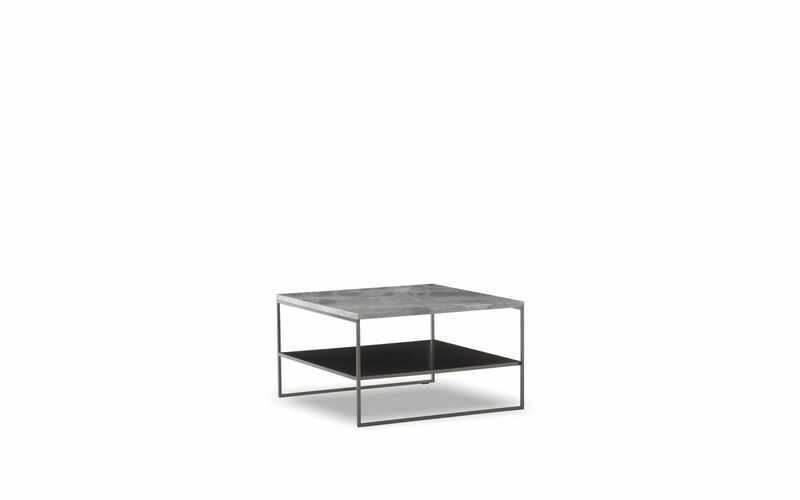 The under shelf is also in satin finish metal painted Light Bronze.